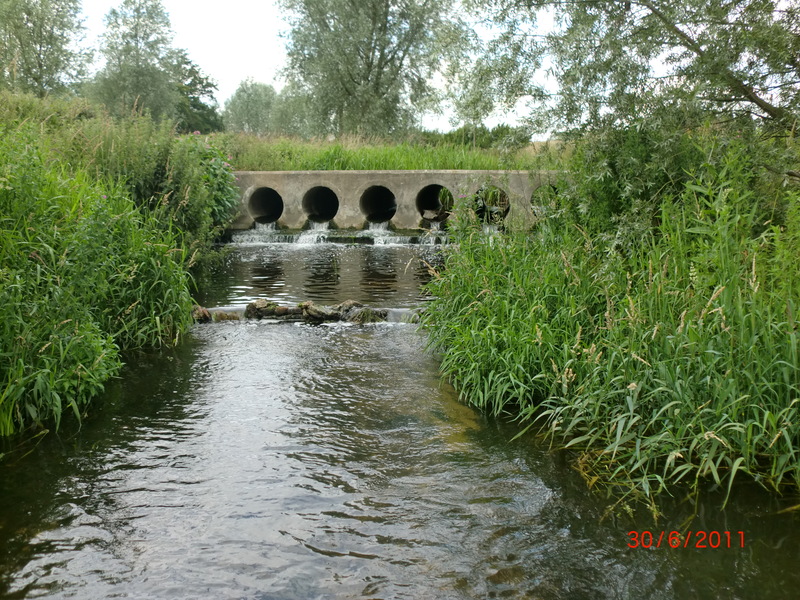 Essex must be one of our flattest counties, so the chances of finding fast flowing, clear water holding trout must be slim. My searches have been considerable, though, and various websites suggest that there may be trout in the Chelmer, and possibly in the Blackwater, and certainly in the upper reaches of the Cam near Saffron Waldon, where the Audley End Flyfishers have some water, but as you know the Cam has already featured in my ’journey’ and I would like to find a stream which is entirely in the County, if possible. And then I discovered that the Billericay & District AC, a notable coarse fishing club, has beats on the Roding, the Stour, the Wid, and interestingly, the River Pant. 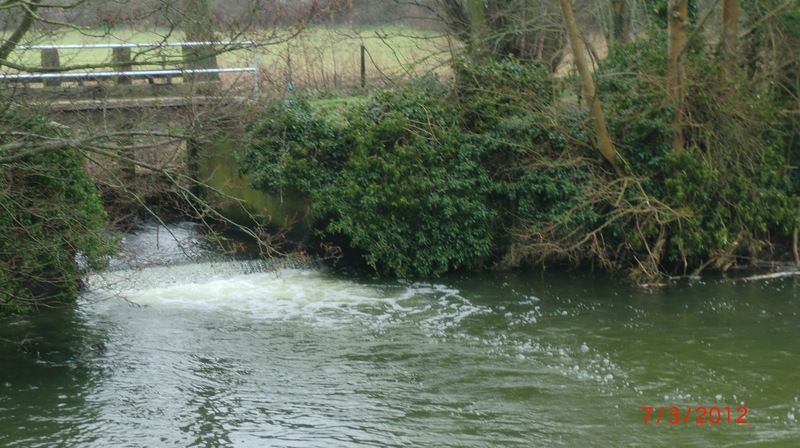 This stream rises on the edge of Debden Airfield in North West Essex, and flows toward Braintree, where its name changes to the River Blackwater. Andy Thomas of the WTT had already suggested that the headwaters of the Blackwater may have some trout, and so I guessed that the Pant is where he was suggesting. The BDAC website claims that the Pant near Shalford does hold trout, so I thought I should join, and try to find out! Well it’s a pretty stream and my first visit was in mid-Summer, for being predominantly a coarse fishing river, the riparian owners acknowledge the season as being from June to March, and by that time, the over growth was considerable on steep banks, and access to the water was limited, but fish were moving, although these turned out to be chub and dace. My first and second visits were fruitless, so I wrote to Fishery Officer, Clive Gliddon, whose response has convinced me that persistence is necessary, and so I shall…persist! With regards to your txt re Trout in the River Pant. I personally have caught trout from the start of our stretch at Shalford Bridge downstream to our boundrary at Codham Mill. All my catches were caught fishing for Chub, using maggots. The trout are still there, as we have one angler who regularly fishes the river and catches. I have seem Trout in the river as far upstream as Great Bardfield (my own village) Sizewise, my catches were small around 8 ozs etc , but I have heard of 1 Rainbow taken of just over 3lbs. which closed many years back.